There were 700 press releases posted in the last 24 hours and 153,512 in the last 365 days. Florida-based company recognized as an industry leading software provider for gyms, dojos, clubs and studios offers new customizable features to their system. CLEARWATER, FLORIDA, UNITED STATES, May 16, 2018 /EINPresswire.com/ -- RhinoFit, created in 2012 as an Affiliate gym management software solution but which has since grown to represent an industry-leading company and favorite software solutions provider for gyms, dojos, clubs and fitness studios alike, has announced the launch of its fully-featured martial arts management software. RhinoFit, in targeting dojo and martial arts studio owners, is now offering this customizable software system that is easy to set up, saves time via efficiently intuitive programs specific to customers’ niche business and which integrates with RhinoFit’s payment processing company or the customers’. As a feature-packed and easy-to-use dojo and MMA gym management software designed for all types of martial arts applications, RhinoFit’s solution is available on all internet-based devices and provides streamlined management tools needed to manage a business with efficiency. Further, the RhinoFit martial arts software supports a myriad of styles including MMA, Krav Maga, Karate, Ju Jitsu, Taekwondo, Kickboxing, Capoeira, Aikido, Systema and others. “We crafted our martial arts-oriented software to fit a range of business needs and as a commitment to our customers, always using their feedback to introduce and adjust features to create the best system for their business,” adds Terre Porter, Applications Developer for RhinoFit. Through Automated Payment Processing, users can accept one-time and recurring credit card or ACH payments automatically via built-in payment processing features, enabling studios to accept membership or tuition fees with ease. 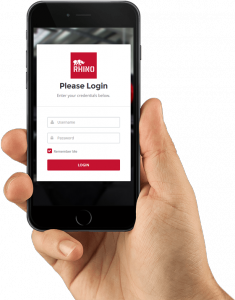 An Attendance Tracking feature, meanwhile, allows users to track the attendance of students or members through streamlined check-in features via the RhinoFit mobile app, sign-in kiosk or scanning at the front desk. What’s more, users can seamlessly integrate their product store, student sign-in, class and appointment scheduler or membership store into their dojo or gym’s website and social media platforms through RhinoFit’s innovative software solution, while System Automations allow for automation reservation reminders, customized digital waivers and custom automation messages to be sent to students and staff through an email and SMS system (lead capture form automation is also available for prospecting). Additional premium features of RhinoFit’s martial arts management software platform include Member Communication (allowing for easy communication with members, whether it’s personalized birthday messages, a dojo public wall or member-wide announcements), with text messaging available for USA and Canadian martial arts dojos and gyms; Product Store Management (effective for simple streamlining of product sales at the dojo or online), with the RhinoFit Product Store accepting payments and offering inventory and discount management; Workout and Skill Tracking (enabling users to show members how much they have improved via easy-to-use skill tracking, fitness assessment and benchmark features), with users able to easily log and track their members’ performance over time; Rank and Belt Progressions (to create a custom or implement a ranking achievement system), with some martial arts belt systems preloaded in the system itself; Free Mobile App so members can make class reservations, track belt achievements, track benchmarks and view their attendance history; Sign-In Kiosk, so members can be checked into a class or as a standalone station; Family Membership Management (wherein children can be assigned to a parent’s account to manage billing, scheduling, waivers and more); Digital Waivers (for athletes to sign online via an integrated RhinoSign system) and a Customer/Tech Support Team that’s available by phone and email. With Streamlined Reporting, the RhinoFit system allows users to organize the most important information for their business, assisting them with tracking commissionable sales with regard to their staff. And, through 24/7 Door Access Integration, the RhinoFit platform allows customers to grant access to their facilities on a 24/7 basis to increase sales and loyalty, with such access provided to active paid memberships and staff who can scan in with barcode key-tags, cards or with the RhinoFit mobile app. The new Belt Tracking and Progressions feature, in particular, has been popular due to its customizable nature, which allows RhinoFit reps to meet the needs of clients’ specific dojo or fighting gym facility. This feature can be manipulated to create subcategories of a ranking or belt, to distinguish test timing, to create digital shadow boxes and to alert users when testing time has ended. 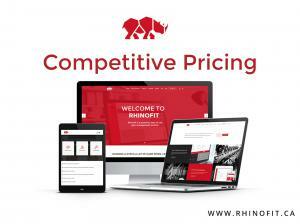 Founded in 2012, RhinoFit is a member management platform that provides cloud-based business tools to businesses around the world. The software is optimized to work on both mobile and desktop devices and is scaled to support the needs of a variety of companies including small gyms or large fitness franchises. RhinoFit’s platform offers a complete suite of features to help simplify the billing process, class scheduling, attendance tracking, marketing and other operational tasks, enabling RhinoFit’s platform to be used by a plethora of businesses including large fitness clubs, affiliate gyms, martial arts studios, personal trainers, fitness boot camps and more.